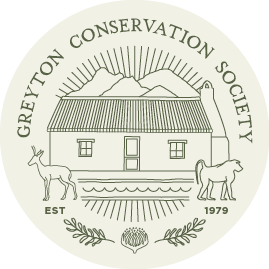 The Greyton Conservation Society held its 38th annual general meeting on Thursday 20 July. It has been an active year for the society, according to chairman Andrew White. “GCS is currently involved with four major projects. These are the redevelopment of the market which burnt down in April, work with clearing alien vegetation and tree planting, the baboon management programme and ongoing involvement in protecting Greyton’s built heritage. Andrew also appealed to all members of the society who did not attend the AGM to pay their membership dues at the GCS stall at the Saturday morning market. Not a member yet? Why not join? The current membership fee is only R20 per year. As one of the oldest societies in Greyton GCS protects and maintains the natural, heritage and built resources within and surrounding Greyton. From marking and maintaining hiking trails, to managing baboons, to caring for plant resources, the society aims to provide a rich asset for residents of this valley and for future generations.